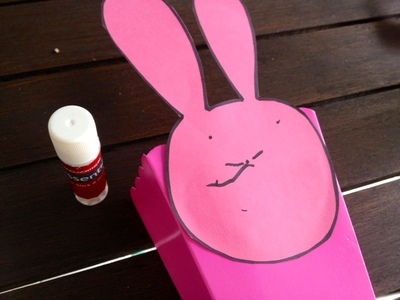 This is an easy activity to make a cute bunny Easter basket. 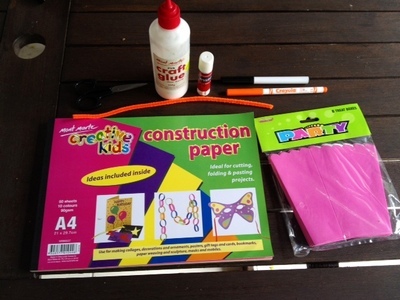 It is quick enough an activity to hold the attention span of a young child whilst older kids can easily complete it independently. Cut a long rectangular strip from your sheet of coloured paper. This will be your basket handle. 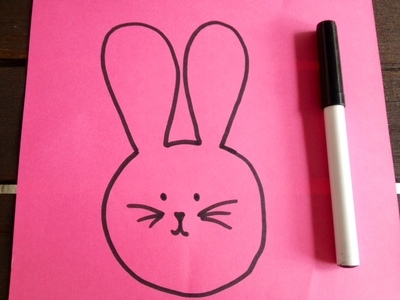 Draw a bunny head outline on the rest of the sheet of coloured paper with the marker pen and cut out. 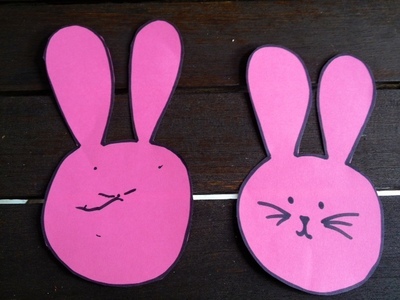 The child can then draw a bunny face and decorate. My 3 year old enjoyed watching me draw a face and then having a go on her own one. 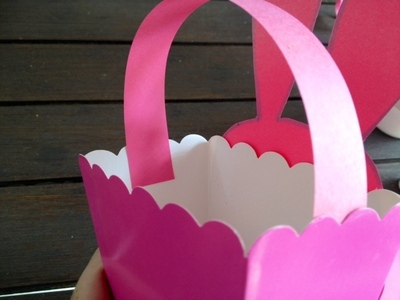 Glue or tape the strap to each side of the treat box to make a handle. Your bunny Easter basket is now ready to fill. 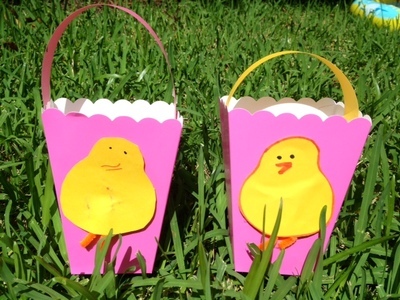 Why not try other Easter characters like some Easter chicks? 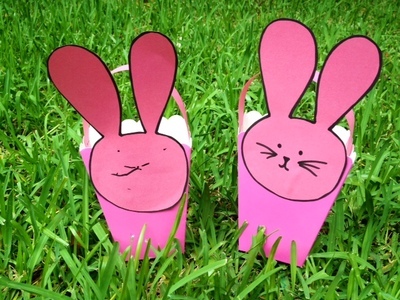 Click here for some more fun Easter craft ideas.